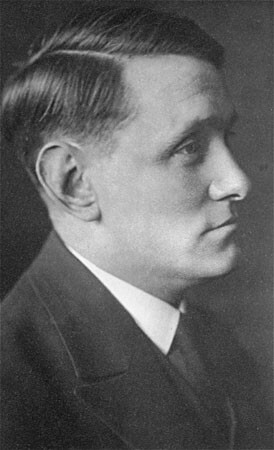 A 1915 portrait of Willem Arondeus. During World War II, Arondeus, a homosexual member of the Dutch resistance, participated in an attack on the Amsterdam Population Registry offices. His group set fire to several thousand files in an attempt to destroy government records of Jews and others sought by the Nazis. Soon after the attack, his unit was betrayed. The Nazis arrested and executed Arondeus in 1943. Blaricum, the Netherlands, 1915.